It’s no secret that a mom’s job is 24/7. She doesn’t get sick days, paid time off, or employee benefits. She has long, hard days, so it’s pretty obvious that she deserves some extra love on Mother’s Day. We’re hooking you up with tons of inspiration in this Ultimate Mother’s Day Gift Guide, so you can give your mom the gift she really wants this year. We’ve got ideas for the active mom, the DIY mom, the mom who loves to cook (or wants to spend even less time in the kitchen! ), the momtographer, and more. Here are our top picks! 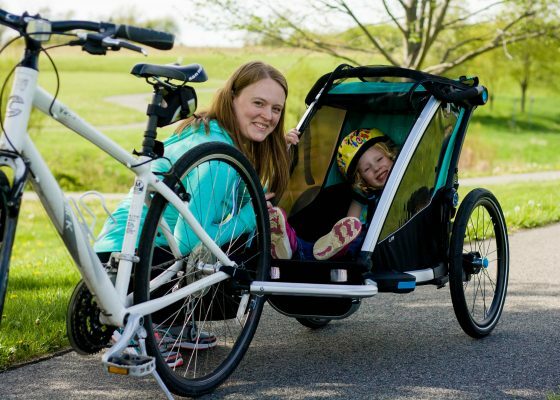 Sometimes as a mom, you need a little variety with your workouts or outdoor activities. This is especially true when you want or need your kids to tag along! Many times it feels nearly impossible to exercise as well as keep everyone entertained. Thule Chariot Lite has been designed to be used in a variety of ways so that you aren’t bored using the same apparatus to haul the kids. Whether you are a cyclist, walker, runner, or skier, the Thule Chariot Lite is the perfect accessory for you! It gives you the flexibility of different activities, and the Thule VersaWing system enables a quick and easy conversion between interests. 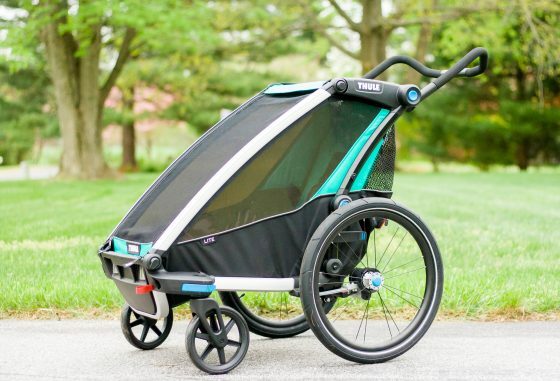 The Thule Chariot Lite includes the ability to use the system as a stroller or bike trailer, but the jogging stroller and cross-country skiing kits are available for purchase separately. 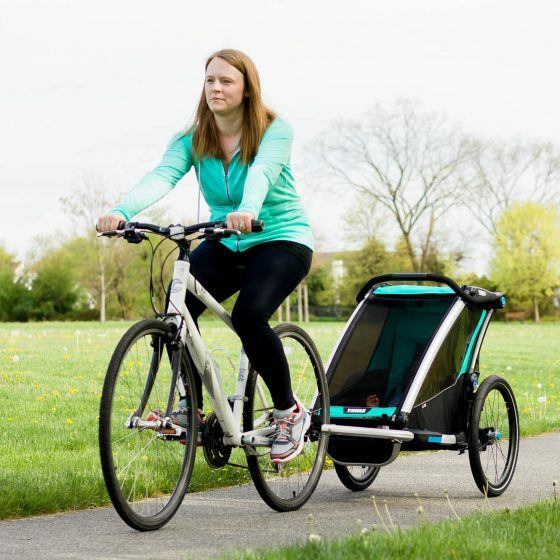 When using the Thule Chariot Lite as a bike trailer, you may trek on sidewalks, light public traffic roads, and smooth paths. It is perfect for being out in your neighborhood, at the park, or on lightly traveled roads. Not only is it easy to assemble and use, it also includes some great safety features. In the rear of the Thule Chariot Lite, two reflectors are placed strategically so that other motorists are warned in advance of your presence on the road. There is also an orange reflective flag included that can be attached to the side of the handlebar, warning others before they get too close to the carrier. One of the best features is the storage within this multisport trailer. 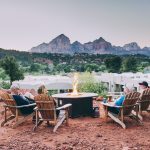 It has several compartments in the rear of the trailer – a cargo bag (maximum weight of 8 pounds), a mesh pocket (maximum weight of 8 pounds), and a side mesh pocket (maximum weight of 1 pound). 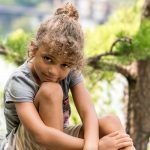 So, not only can you have your child on your running/walking/cycling/skiing experience, but you can easily store the other kits to change between activities. 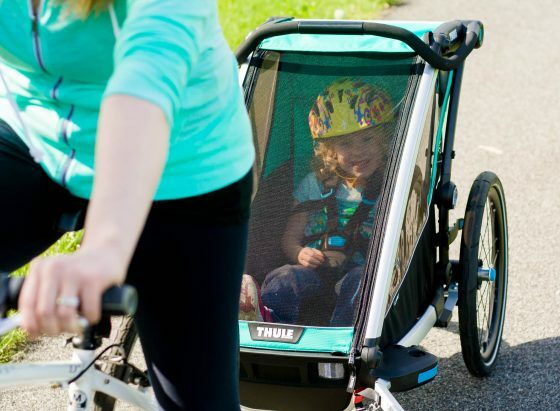 The Thule Chariot Lite makes it easy to access your child at any time, even when using the cycling attachment! 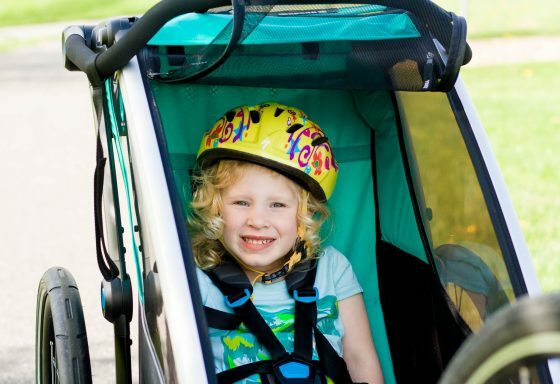 Stop, find a level spot to brace or put your bicycle’s foot, unzip the mesh liner and you can give your child their water bottle, adjust their helmet, or give them a break from the ride. The five point harness helps to ensure your child’s safety and security while in the carrier. Because there can be unwanted bumps along the road, always be sure they wear a helmet when occupying the bike carrier! Thule has also really focused on the comfort of both the rider and operator of the Thule Chariot Lite. 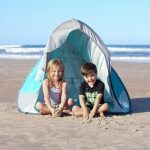 Not only does it have a breathable mesh cover, but it also includes a sun shade and all weather protector (for times of snow, rain, or other elements). This multisport trailer really can travel in all conditions. For the operator, the handlebars can be adjusted to different heights with the push of a button. Not only can you change between interests and activities, but this multisport trailer can cater to varying ages of children and has the ability to grow with them. Maybe for a time period you are only comfortable with walking while your baby is in the stroller portion. 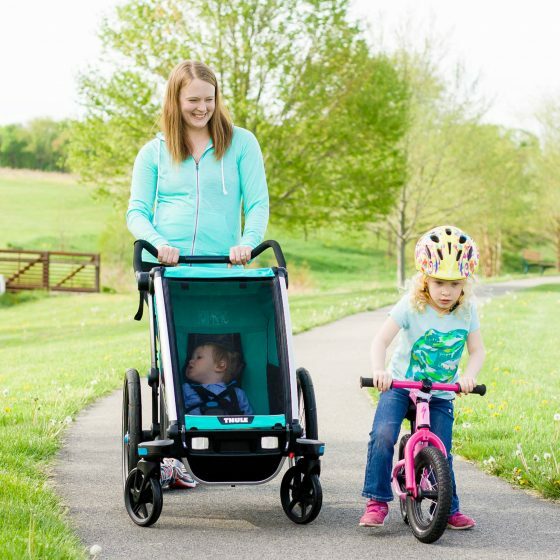 Once they are older, you would rather go cycling with them trailing behind or run while they are in the jogging stroller attachment. 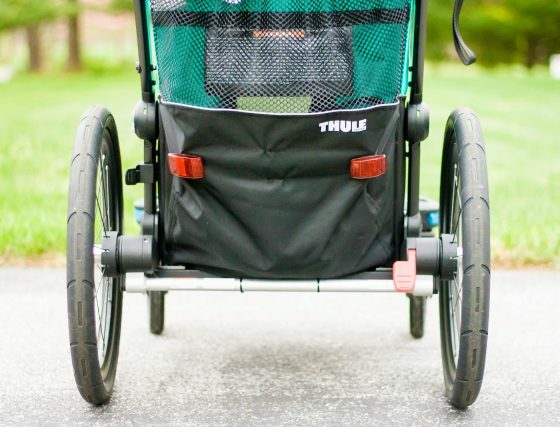 There are so many possibilities with the Thule Chariot Lite that you and your child will never be bored! 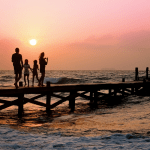 Thule wants to be sure that your family lives life to the fullest. Their mission is to make products that transport anyone or anything safely, easily, and in style. They started the brand in Sweden in 1942 and since then, have created quality products that help you to live the active lifestyle you deserve! 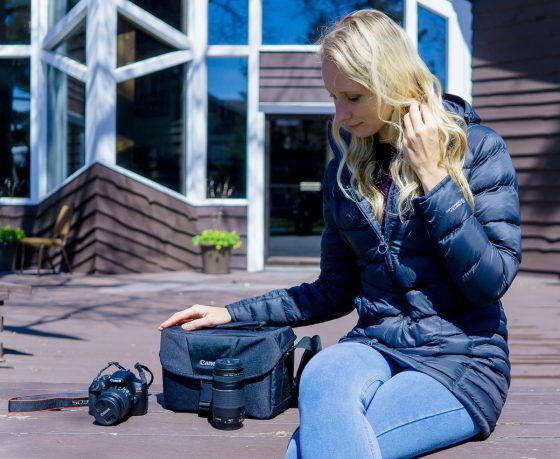 Whether you live in the city, country, or suburbs, Thule is here to help you find a product to fuel your passion for the outdoors. 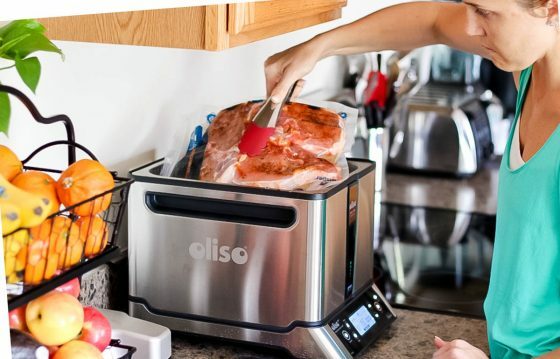 Bringing the possibility of sous vide cooking, yogurts, broths, infusions, and delicate blends usually confined to 5-star kitchens into the home, the Oliso SmartHub + Top precision cooking tool will inspire all moms to release their inner chef! 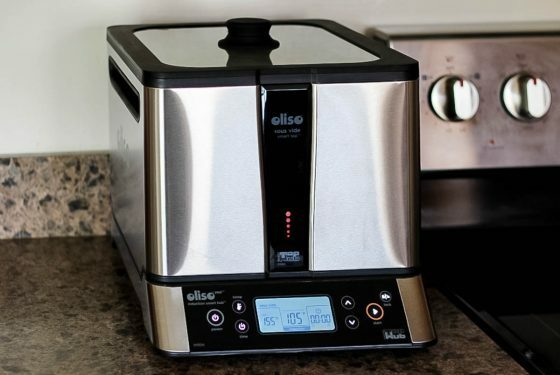 Show Mom just how much all of her home-cooked meals meant to you this Mother’s Day by gifting her the Ultimate Kitchen Device – the Oliso SmartHub + Top. 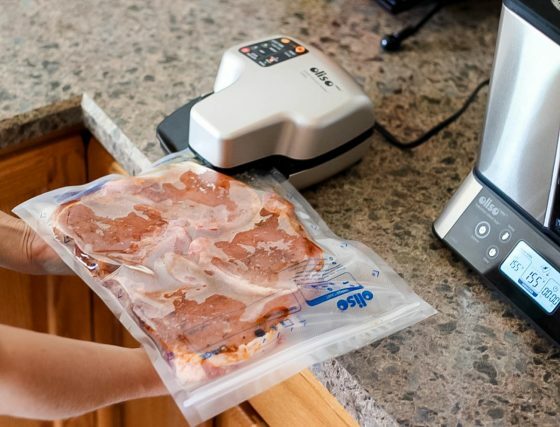 Combined with the powerful Vacuum Sealer, sous vide cooking has never been easier! This gourmet dining experience is now possible in every home kitchen everyday. 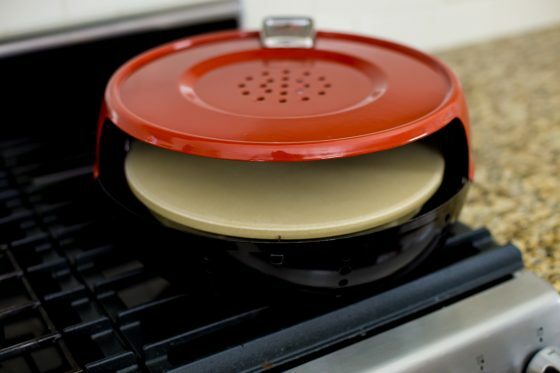 Whether the most important mom in your life loves spending her days in the kitchen or not, this compact, intelligent gadget is the perfect present with all the bells and whistles that allow for gourmet cooking, more free time away from the stove, and space saving options she is guaranteed to love. The SmartHub is an induction burner harnessing the power and technology of induction cooking, paired with a SmartTop, creating a seamless communication between the hub and top to within .1 degree. 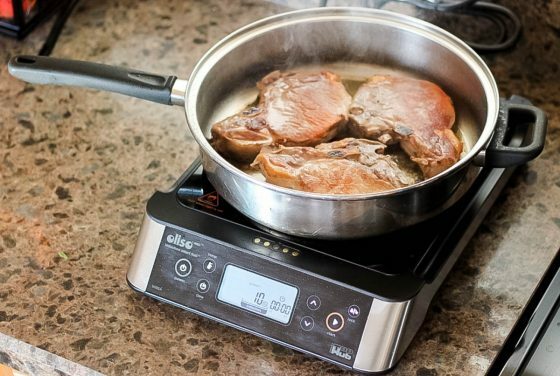 The 1500w induction base can be used with or without the SmartTop and quickly reaches searing temperatures, allowing Mom to seamlessly, evenly, and perfectly sear her gourmet meal masterpieces. Additionally this versatile hub is compact and plugs into any power outlet, instantly giving you the capabilities of a top-notch kitchen range all in one. Paired with the cordless, precision SmartTopfeaturing a tempered glass, silicone edged lid, clean up is also a breeze. 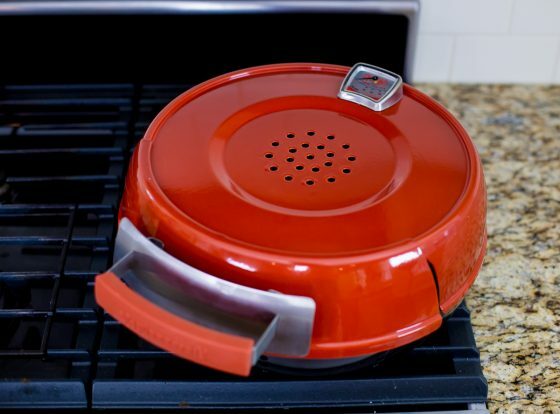 So although Mom may not have a huge kitchen or like cluttered countertops, this revolutionary all-in-one cooking device takes the necessity out of all those “other” kitchen gadgets and could even be a replacement for a kitchen in small living spaces. This Mother’s Day, present Mom with the gift of gourmet cooking, time to drink a glass of wine, and space saving technology that inspires healthy, delicious home-cooked meals. Daily Mom readers have a very special and generous offer from Oliso. 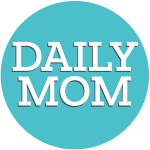 Enter the code DailyMom15 for 15% off your order from Oliso this Mother’s Day! 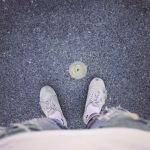 Oliso is a San Francisco based group of inventors, engineers, and researchers who get inspiration for their ideas and products by listening to people. The company’s human-centered design process allows them to engineer products that simplify everyday life and address users’ needs. On a mission to create ergonomically optimized products to change your home and lifestyle for the better, Oliso’s goal is to seamlessly entwine aesthetics and functionality in everything they develop. 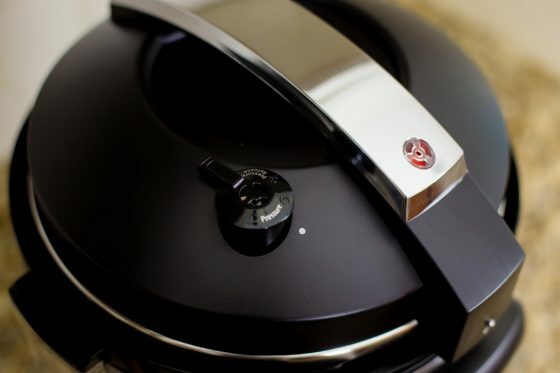 Along with the SmartHub + Top, Oliso also features a Smart Vacuum Sealer for ideal food-saving and cooking techniques, and a Smart Iron featuring patented iTouch technology with scorchguards that lift the iron off your clothing when you let go to prevent burns, scorches, or tipping. 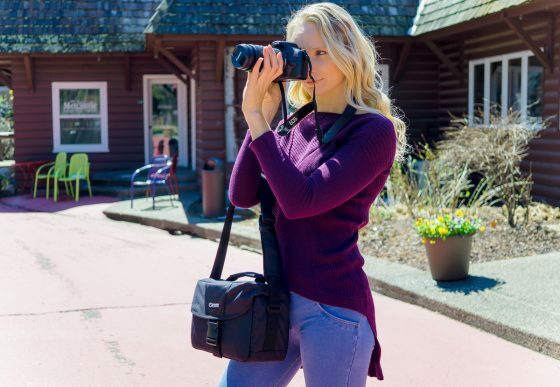 If you have a mom who is constantly taking photos of anything and everyone but she hasn’t made the jump to shooting with a DSLR, it is time to upgrade her with this amazing bundle featuring the popular Canon Rebel T6 for Mother’s Day. 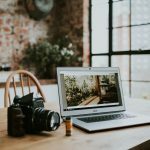 Upgrading from smartphone photography is exciting for anyone who loves to document her life. 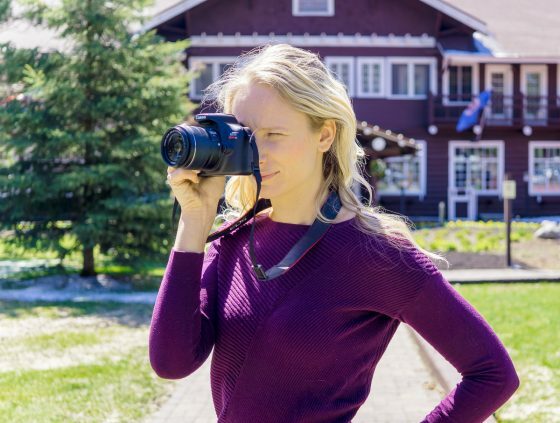 If your momtographer wants a new camera and she is new to shooting with a DSLR, the Canon Rebel T6 is an ideal camera for a beginner. Thanks to BJ’s Wholesale Club, you can surprise her with an amazing bundle that includes two lenses, a camera bag, SD card, and more. 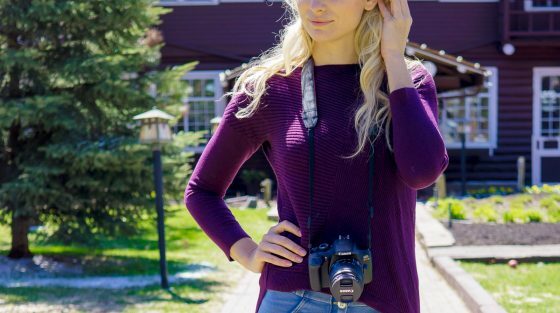 Her photography will improve instantly, and she will be addicted to all things photography! BJ’s Wholesale is a premier wholesale club that helps its members “live generously.” The savings here are unreal, and you can purchase just about anything you could ever want or need from BJ’s, from your weekly groceries to a family vacation. With a BJ’s membership you have access to perks like 25% off grocery prices, coupons, lower gas prices, savings on electronics, home goods, seasonal items, and travel services. There are over 210 locations in the United States. Do you have a mom who is always changing up her home decor? You know the woman, she’s obsessed with the trends; scours every design magazine, can’t quit watching HGTV, and has a girl crush on Joanna Gaines. She also loves to keep her castle nice and tidy. After all, she pours her heart and soul out to create a look that is just right. Go big this Mother’s Day and surprise your decorating diva with a washable rug and cushions from Lorena Canals. 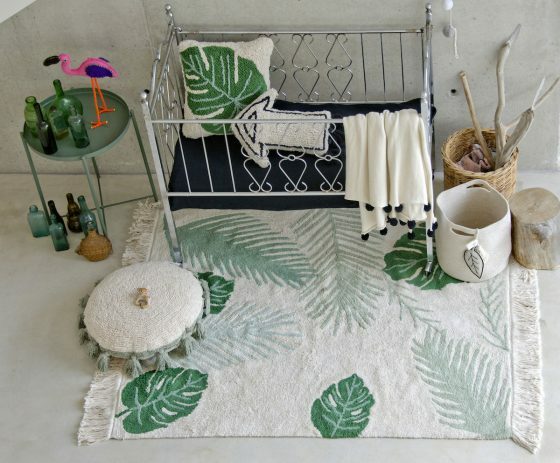 Lorena Canals creates washable rugs and accessories for your home. 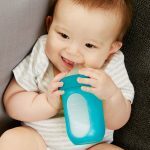 Moms can stop stressing about spills and messes. You can seriously throw their Washable Rugs and Accessories in the washer. 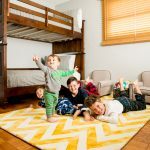 There are rugs for bedrooms, playrooms, living rooms; any room! 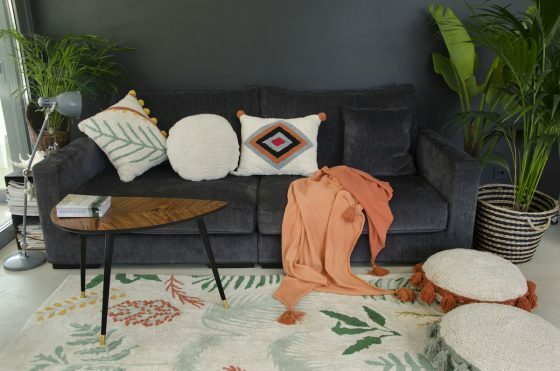 Live your family life freely with rugs and cushions from Lorena Canals. Just in time for Mother’s Day, Lorena Canals is releasing their new spring line. This new collection has a tropical vibe. 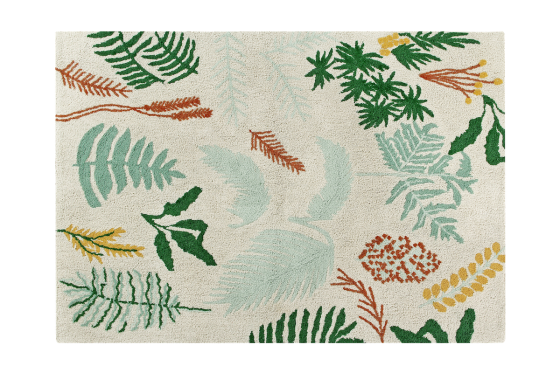 Featuring rich colors like oranges, greens, and blues, you can add a little pop of life to any room with their new rugs and matching cushions. The botanical plant motifs are on point when it comes to style. Mom will flip out! When she realizes she won’t have to worry about the kids spilling juice (or worry about herself spilling her own wine) she won’t ever want another kind of rug in her home. The accessories match the rugs perfectly and just add to the overall look of the room. You can wash the cushions just like the rugs. Go ahead and toss them on the floor for the kids to lounge during family movie night. We love the idea of surprising Mom with a newly styled room, all set up with a new rug and matching cushions. Blindfold her and walk her into the room for a grand Mother’s Day reveal. Lorena Canals is an innovative home decor brand that is a dream come true when raising little kids. Their rugs are washable! This company started out to make decor for children’s rooms, but their designs today are so gorgeous you can feature their pieces all over your home. Lorena Canals uses raw materials, natural dyes, and no child labor in creation of their rugs and accessories. This is a company that was created when a mom wondered why she couldn’t wash the rugs her sweet children played on everyday. She created a solution and combined that with beautiful designs to create Lorena Canals. 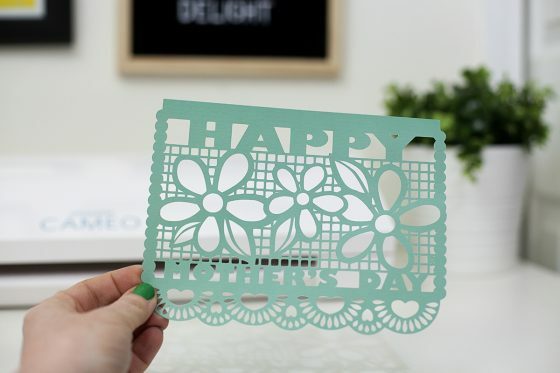 If your mom is a maker who loves DIY projects, Silhouette is a brand you need to know about. 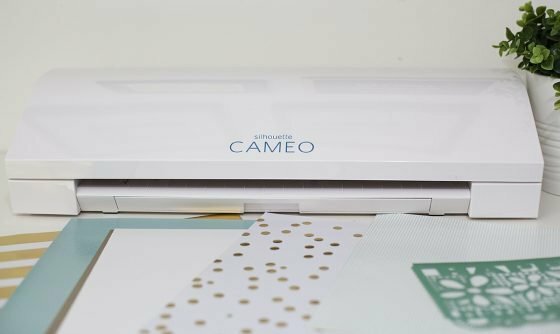 If you want to get her the ultimate Mother’s Day gift, the Cameo 3 electronic cutter should be at the top of your list! Creative moms will probably have already heard of the Silhouette Cameo 3, but might not have one of their own. 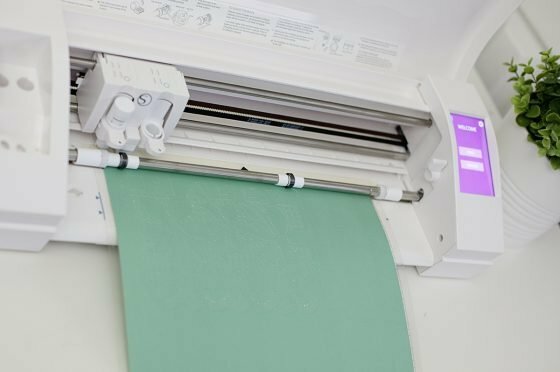 This versatile tool is an electronic cutting machine that is a must-have for crafting and creating. Like a home printer, it connects to your PC or Mac with a USB cable or via bluetooth. 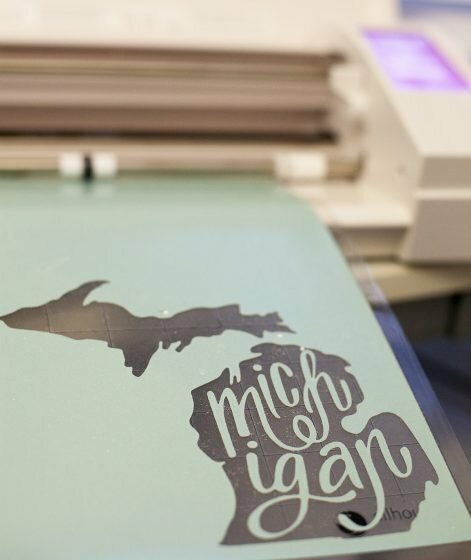 However, instead of printing it uses a small blade to cut paper, cardstock, vinyl, fabric, or other compatible materials. The creative possibilities with the Cameo 3 are endless. 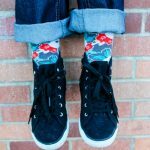 Cards, custom apparel, vinyl decor, temporary tattoos, paper crafts . . . the list could go on. Many women have even found paths to entrepreneuership using their Silhouette Cameo machines! With Silhouette’s easy to use design software, your mom can create works of art using digital downloads from the Silhouette marketplace or by creating brand new designs herself! The software allows her to use any font she has installed on her computer to create designs for cutting. The Cameo 3 offers more than just cutting. Sketch pens allow you to replace the blade with a pen so that it will sketch the design you’ve created before cutting it out. A new technology called PixScan also allows you to scan photos and drawings and then cut precisely around them. Scrapbookers, seamstresses, and crafters of all kinds all love this machine and the precision with which it cuts and draws. 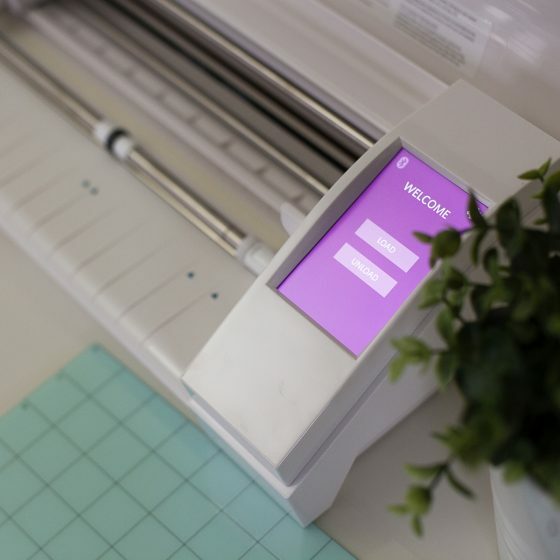 Founded in 2009, Silhouette is a manufacturer of arts and craft products and desktop cutting systems. They innovate products that allow people new and exciting ways to express their creativity. Silhouette offers several cutting and design technologies as well as a marketplace of digital designs for download. 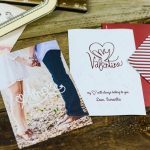 Crafters and makers of all kinds flock to Silhouette products for scrapbooking, paper crafts, home décor, fabric projects, stamping, custom apparel, and countless other DIY products. If you have a mom in your life who is a self-proclaimed foodie, you can give her a gift for the kitchen that she will actually love. This is not a boring set of pots and pans. The Pizzeria Pronto Stovetop Pizza Oven will have her deleting the takeout pizza place from her phone right away. Bring the taste and excitement of an authentic pizzeria into the home this Mother’s Day. All you need is a gas stove and the Pizzeria Pronto Stovetop Pizza Oven to cook homemade pizzas anytime.Cooking pizzas in a conventional oven is just sad. You don’t get that crispy crust, the cheese isn’t as bubbly, and they take forever to cook. Pizza night in your home will be healthier and more delicious than frozen or take out, and you can enjoy homemade family pizza night as a new tradition. 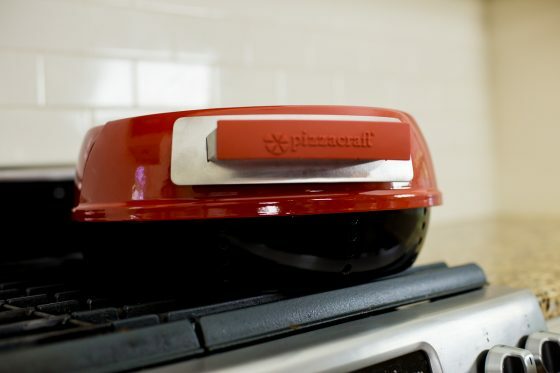 Pizzacraft delivers an authentic pizzeria experience at home and you don’t need to build a wood burning oven in your backyard. All you need is a gas stove and the Pizzeria Pronto Stovetop Pizza Oven. 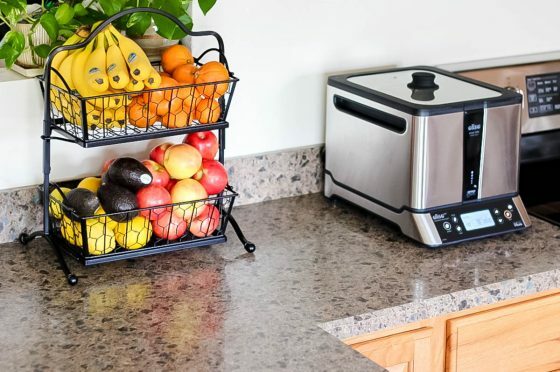 The oven is simple to set up and fits right over the burner on your stove. There is even a small strap to secure the oven to the burner to ensure that it doesn’t move around while cooking. 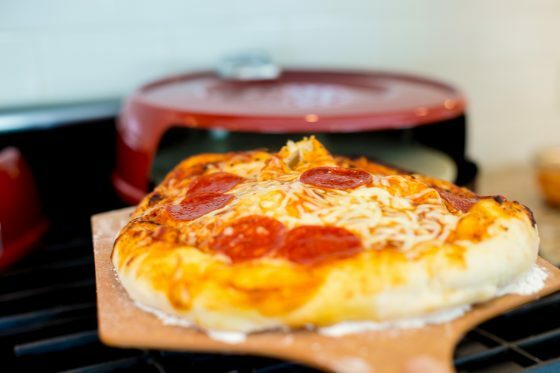 Your oven will heat up in about 15 minutes and the pizza cooks quickly (less than 10 minutes) since the oven will maintain a temperature of about 600 degrees. You know it is working because you can check the temperature on the built in thermometer on top. The Pizzeria Pronto Stovetop Pizza Oven is incredibly energy efficient. The design combines the power of your gas stove with dual cordierite stones that absorb the direct heat from the flame and redistribute it evenly, eliminating hot spots. 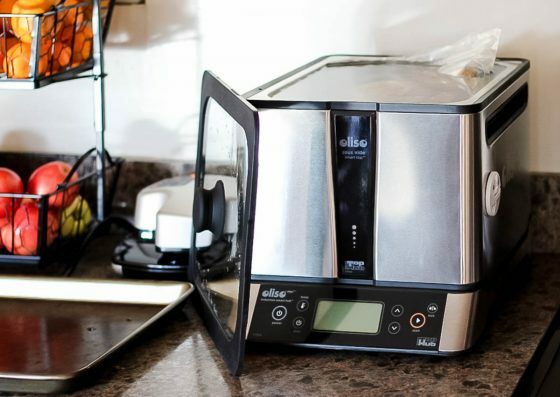 This little oven is award winning and consistently receives excellent ratings online. We love that it makes small pizzas that are about 12 inches. That means everyone in your family can get what they want in a pizza. If mom is dairy free, she can make her pizza with Daiya cheese and if her son loves pepperoni, he can go ahead and load his pizza up. Pizzacraft is an innovative company producing almost every kind of pizza making tool you can imagine. From portable pizza ovens, to pizza stones and peels, they produce everything you need to turn your kitchen into your very own pizzeria. 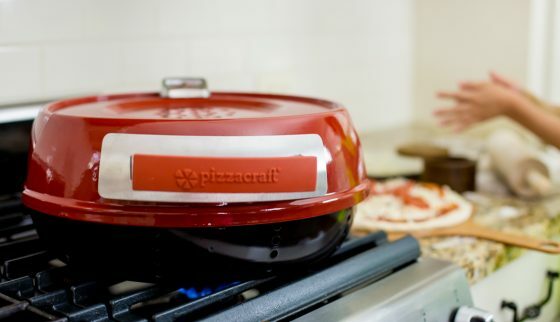 Offering quality products for an affordable price, Pizzacraft makes the perfect gifts for the pizza lover in your life. Enjoy “pizza outside the box” with products from this wonderful company. PERFECT FOR THE MOM WITH NO TIME TO SPARE. Dinner time happens everyday whether we like it or not. Why do we need dinner every night? 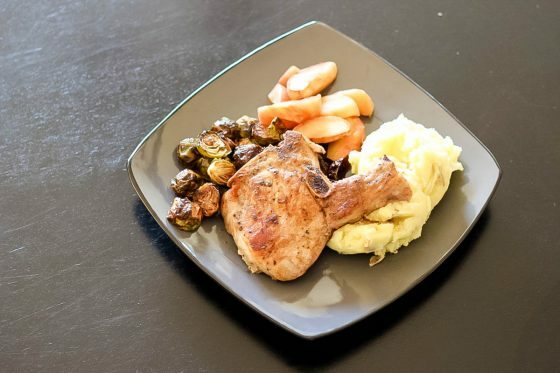 While cereal may be tempting, families need a real solution to get dinner on the table, even on the busiest of nights. 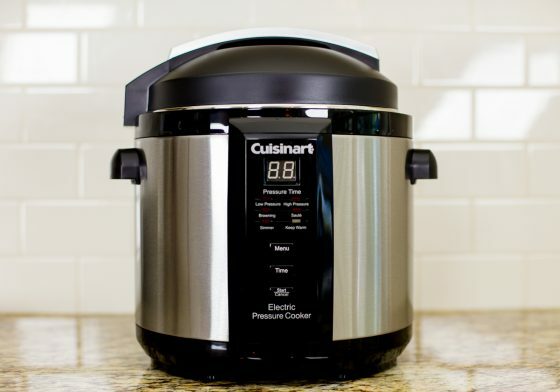 Even with sports practices, music lessons, homework, and a crying baby, a healthy, homemade meal can be made in less than 30 minutes from start to finish with the Electric Pressure Cooker by Cuisinart. Dinner time doesn’t own you anymore. You are in control in your kitchen no matter how tight your evening schedule happens to be. 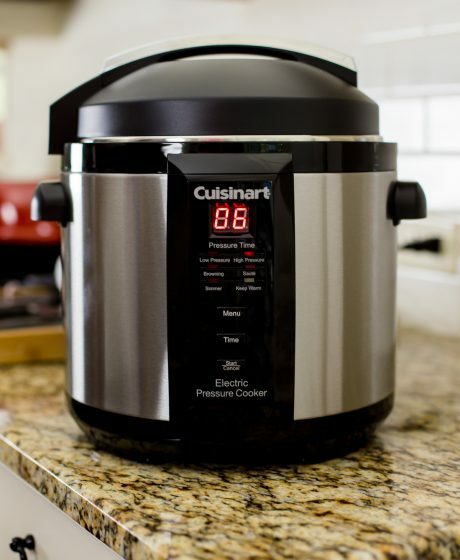 This pressure cooker has a large capacity at 6 quarts, and you can cook pretty much anything in it in a fraction of the time of standard cooking methods. Seriously, it cooks 70% faster and food is healthier. 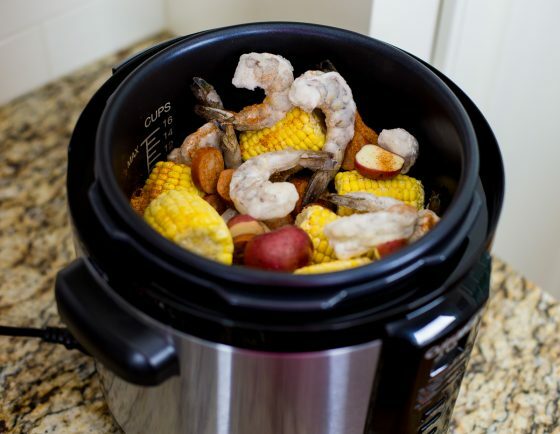 You can even throw frozen food in the pot and it will cook up almost instantly. 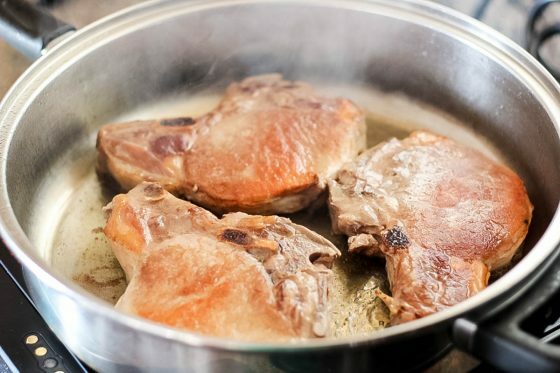 Steam is trapped in the pot and that builds the pressure. The pressure causes the hotter temperatures. 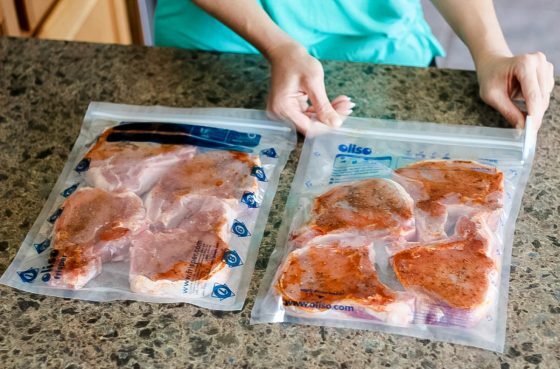 Because it is all sealed up and not boiling, your food doesn’t lose vitamins and minerals. Your meals stay incredibly moist and flavorful. If mom has never cooked with a pressure cooker, she may be a little nervous about all that pressure and steam building up. We get that. However, the Cuisinart Electric Pressure Cooker is incredibly safe. The lid has to be locked in place before pressure builds, and stays locked until pressure is released. When your delicious dinner is complete, let the pressure release on its own and choose the quick release option. After that, you unlock the top and serve up an incredible meal. All the cooking happens in that one pot that is dishwasher friendly, making clean up oh so simple. Cuisinart is a prestigious company known for being a full service culinary resource. Beloved by Julia Childs, Cuisinart is internationally known for offering top of the line kitchen products for anything a chef could need. This company shot to popularity with their food processor, but today they offer innumerable tools for the kitchen that help you “savor the good life.” In addition to cooking tools and appliances, home chefs know they can trust Cuisinart for cooking techniques, tips, and recipes. 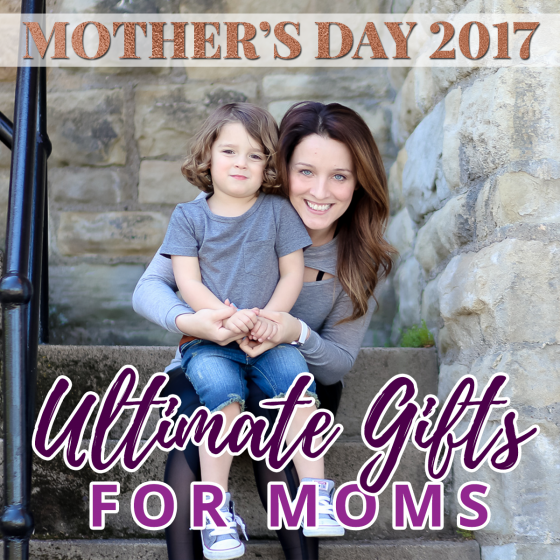 We hope this Ultimate Mother’s Day Gift List gave you some inspiration and ideas about what to get Mom this year. We are wishing all moms a very Happy Mother’s Day! 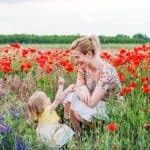 Don’t forget to check out our other Mother’s Day Guides for more inspiration.